‘…I’m pretty much starting over. As far as what people are listening to and what they’re buying, they haven’t bought my records in a long, long time, so it’s just like I’m a brand new artist coming out and you have to just look at it realistically. The people that did buy my records were from another generation. So for them to be buying my records again, they might not be really thinking about record buying. It’s not in their thoughts because a record buyer is pretty much a younger demographic…’ Carman, one of my favourite CCM artists growing up as a teenager, released his first album in around 7 years, a few days ago. Funded on a budget of $500,000 (inclusive of tours and other ‘rewards’ through crowd-funding source Kickstarter) and titled No Plan B, Carman’s re-emergence into music after a 7 year absence has come off the back of a multiple myeloma cancer diagnosis in February 2013. While currently not that popular in the CCM market, and despite many listeners not necessarily knowing him or his music that well (considering that Carman’s dominance in the Christian music market was during the 1980s and 1990s), Carman has still delivered a quality project within these 12 tracks. One of the most different and musically unique albums of the year so far (which is a good thing if you are looking for some variety musically, or bad if you really love songs with a CCM/radio format), Carman’s new album is great for nostalgia, fans of Carman, or if you love to listen to 80s or 90s themed music, a la artists like Avalon, Michael English, Kirk Franklin or Rich Mullins. Despite his time away from the music industry, Carman’s presence is still felt, ever since his first album Sunday’s on the Way in 1983. While some could call his music outdated, No Plan B throws away the handbook on how music should sound currently to deliver an album in ‘Carman-style’- complete with choirs, synth-led melodies, raps, story-songs, 80s style ballads and a whole lot of European and Latin American flavour as this new Carman album tries to appeal to both young and old generations alike. Releasing his first radio single to the album “Jesus Heal Me” in April 2014, the poignant melody is possibly by far one of the most emotive and powerful songs ever written by Carman, alongside other songs from his career like “We Are Not Ashamed”, “Hunger for Holiness”, “Serve the Lord” and “Whiter Than Snow”. A song that gives listeners a reminder of his diagnosis of cancer not too long ago, we are met with a renewed purpose to pray for him continuously (even though he is cancer free at the moment, there is always possibilities that it will be back). A song also for ourselves- we can ask Jesus to heal us, not just physically, but emotionally, spiritually, mentally and psychologically; Carman’s first radio single since “My Pledge” and “House of Praise” in 2002, is one of his best, and one of my favourite power ballads from him since “Never Be” back in 1998. With a hauntingly refreshing piano undertone and Carman’s distinct vocal, harkens back to the assertion of mine that Carman is by far one of the most prolific, emotive, diverse and enjoyable solo CCM artists of all time! The first song on the album, “No Plan B” hits all the right power notes to present a melody complete with backing ‘ohh-eehh-ohh-eehh-ohhh’ honking noises that present a sense of urgency as we hear vocally induced ambulance sounds to hopefully bring us to a place of how urgent, necessary and time sensitive Carman’s message really was. Carman recorded the whole album throughout his chemotherapy sessions, so for him to declare in the melody that ‘…I’m living for the Lord and there is no plan B…’ places a whole lot of Carman’s thoughts and heart for healing in perspective. While certainly not your average CCM style, Carman’s music is nevertheless interesting and attention grabbing to anyone who hasn’t heard from him in a while. With synth keyboards being the focus, not just on the title track, but throughout the album in general, Carman invites us all into the most personal music journey we could ever take (aside from Steven Curtis Chapman’s Beauty Will Rise) as we listen to one of the most emotionally charged and poignant albums of 2014 so far! One of the most cheesy tracks on the album is “Time to P.T.L.”, a song with a complete choir, hand claps and repetition as the main theme of the 3 minute 30 track being ‘…it’s time to praise Him, lift up His holy name, let everyone proclaim, that He alone is King of Kings and Lord of Lords…’ (a song where you hardly hear Carman at all- and frankly, at times, I struggle to even hear him in the song at all). A song that is great thematically but lyrically simplistic, “Time to P.T.L.” leads into the ballad part of the album. From the piano riff prominent “I’m Coming Home”, a song that allows us to declare alongside Carman that we are coming home to commune with our Father and Friend, to “Peace of the Lord”, a duet with Hope Loftis that encourages us to pursue God’s peace that fills us up much more than doubt or uncertainty ever can; ballads are some of Carman’s strongest musical genres he has sung in. Carman continues the ballad arrangement in the 2 and a half minute “I Did My Best”, placing the acoustic guitar at the forefront as Carman presents a theme of us of finishing well in this life- in Carman’s case, stating to God that he did everything in his own power to rid cancer from his body; while the songs that occur afterward are seemingly less than stellar- a medley of “That’s My King”, a hit from Instruments of Praise and “Radically Saved” (which sounds slightly disjointed with clashing tempos and different music styles), and “The Flag”, a patriotic song about America (a note of advice- if you want your album to be successful globally, never place a song on the album that speaks about patriotism and how ‘…I pledge allegiance to the flag of the United States of America…’). However, it is Carman’s upbeat melodies in “God Made Man”, “Yes, Yes”, “It’s All In His Hands” and “Another Day” that musically stand out on the album, and imprint on my mind personally as well. With Carman presenting a story song about how he came to Christ (“God Made Man”), a Latin American musically infused track exclaiming his belief in Christ (“Yes, Yes”), a poignant moment where Carman realises that everything is in God’s hands (with some strikingly similar musical backdrop to “7 Ways to Praise”) (“It’s All In His Hands”), and a light acoustic guitar track that reminds us all that ‘…not now don’t mean never, so I’ll just do what I must do, and trust You forever…’ (“Another Day”); Carman’s best articulated and choreographed songs are his upbeats and ballads, reminding us all that even after a few years of inactiveness, Carman still has the talent to continue to make new albums, songs, while still singing about truth and being relevant in the musical culture we are currently in. Listening to the album from first to last note, I must say that there should be a genre called “Carman”- with such a unique repertoire of musical genres, No Plan B is easily one of the most nostalgic albums of 2014 so far. And nostalgic, sadly in this ever changing musical culture, seemingly isn’t what is going to make an artist move on to more successive heights and greater moments of stardom. Popularity wise, No Plan B is sadly not going to stack up against popular artists like Chris Tomlin, Kari Jobe, TobyMac or the Newsboys. And with changes in the musical tastes of listeners leaving behind the music of Carman for a more fresh, polished and CCM sound; Carman’s new album, from an objective standpoint, isn’t one that’ll convert many listeners who may not have heard his music in a long time, if not ever. But this is not a piece about someone who’s yet to make it in the music industry- with over 30 years of industry experience, Carman’s new album is just as enjoyable now as R.I.O.T., The Standard and Addicted to Jesus were back during the 1990s when Carman and his popularity were at their peak. Even if his new album doesn’t chart well when stacked against today’s popular artists, No Plan B still has something great about it. 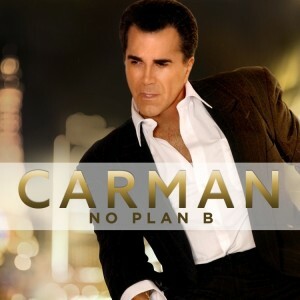 Call it something different, or even something so unique and outside the box; No Plan B presents one of Carman’s most unique albums, continuing to stand tall today in 2014 as albums from him did during his popularity peak.